Belkin - F3K101-06-E 6 Feet RG-58 Coaxial Network Cable A little old fashioned perhaps but the legend of the Thin Ethernet coaxial cable still lives. This RG58 50 Ohm coaxial cable comes with 2 BNC male connectors.
. - S-Video to Dual BNC Cable, 6' This 6 foot long replacement cable has an S-Video (4-pin miniDIN) connector on one end and 2 standard BNC connector on the other. For interconnection of monitors editing decks breakout boxes and capture cards.
. - 7.5&quot; 25-Pin Sub-D Male to 8x BNC Unbalanced A The Apantac DB25-AES-UNBL Unbalanced AES Output Breakout Cable features a 25-pin Sub-D connector at one end and eight BNC connectors at the other. 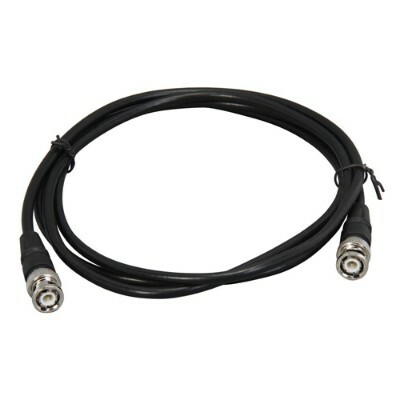 This breakout cable is compatible with the DA-SDI-DE de-embedder.
. - 7.5&quot; 25-Pin Sub-D Male to 16x BNC Unbalanced The Apantac DB25-AA-UNBL Unbalanced Analog Audio Breakout Cable features a 25-pin Sub-D connector at one end and 16 BNC connectors at the other. 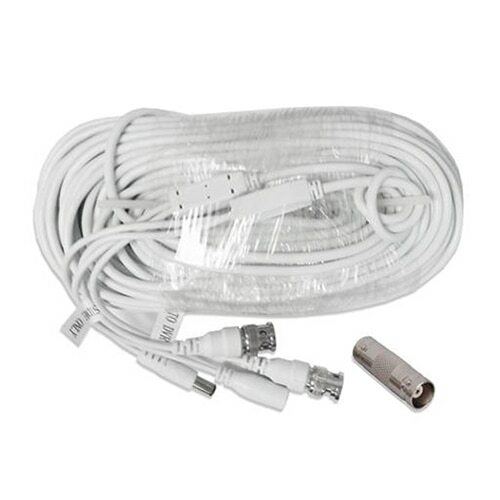 It is compatible with the DA-SDI-DE de-embedder.
. - 1m Break-Out Cable for the D10CEA SDI to Analog Au D10CEA-CBL is approximately one meter long and provides the video and audio connectivity to the device. The D10CEA has a 25-pin D connector and the cable mates with this providing three BNC and four XLR connectors.